Today the Enough Project released its first policy brief in a series focusing on the international community’s extraordinary opportunity to help support peace within and between the two Sudans. The brief discusses the need for the mediator, former South African president Thabo Mbeki, and the African Union to take bold and specific actions to marshal the governments of Sudan and South Sudan closer to arrangements that promote sustainable peace. Direct political negotiations between the government of Sudan and the Sudan People’s Liberation Movement-North, or SPLM-N, on the basis of the unimplemented June 28, 2011 agreement between the Sudanese government and the SPLM-N. Continuing to ignore the above issues would both undermine economic growth in the Sudans and pose an ongoing risk to regional stability. Fortunately, President Mbeki is in an unparalleled position to provide recommendations on these outstanding concerns and implementation mechanisms, and in turn, inform future actions of both the African Union and the U.N. Security Council. Table the Panel’s proposal on the Abyei area, which President Mbeki offered to Presidents Bashir and Kiir during the September presidential summit. Request that the African Union demand immediate and unfettered international humanitarian access into all areas of South Kordofan and Blue Nile states pursuant to the August 5, 2012 memorandum of understanding that Khartoum signed with the U.N., the A.U., and the League of Arab States, known collectively as the “Tripartite Partners”. Emphasize the need for the immediate initiation of direct political negotiations between the government of Sudan and the SPLM-N based on the June 28, 2011 agreement. Request that the A.U. 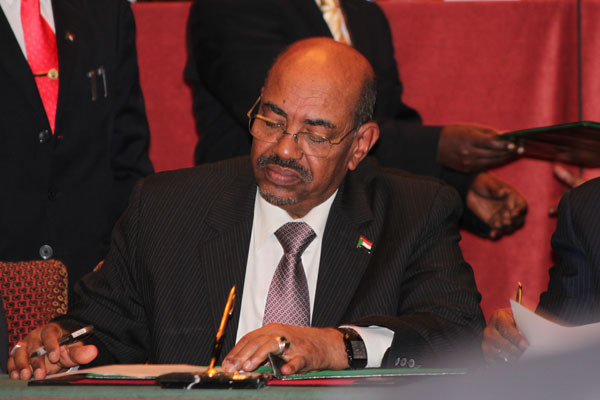 and, subsequently, the U.N. Security Council, develop measures designed to ensure Sudan and South Sudan’s implementation of all signed agreements. Read the full brief—“President Mbeki’s Moment: A Stand for Peace in the Two Sudans”—and check back soon for the next installment in this series.